You can tell that Allen himself, as well as the other actors had a great time filming this, while telling a brilliant and funny story, while paying homage to the great Hitchcock, as well as showcasing the beauty on the streets of New York City. The film again, follows Larry and Carol Lipton (Allen and Keaton respectively), who hear that their dear and healthy neighbor has died. 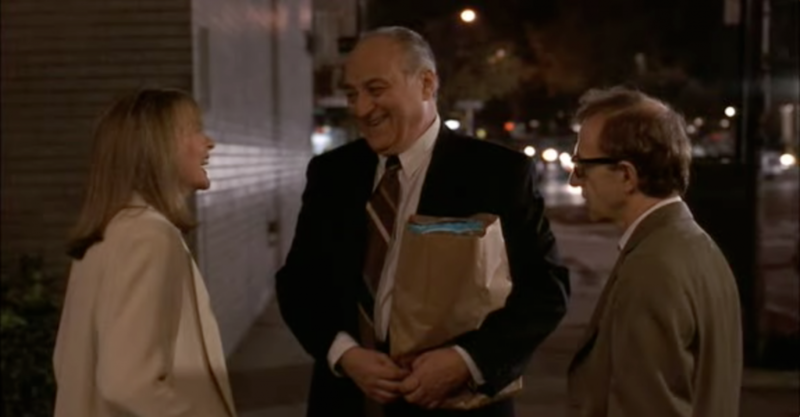 The departed husband (Jerry Adler), doesn’t seem to upset about it, which causes Carol to think that he might have killed his wife. 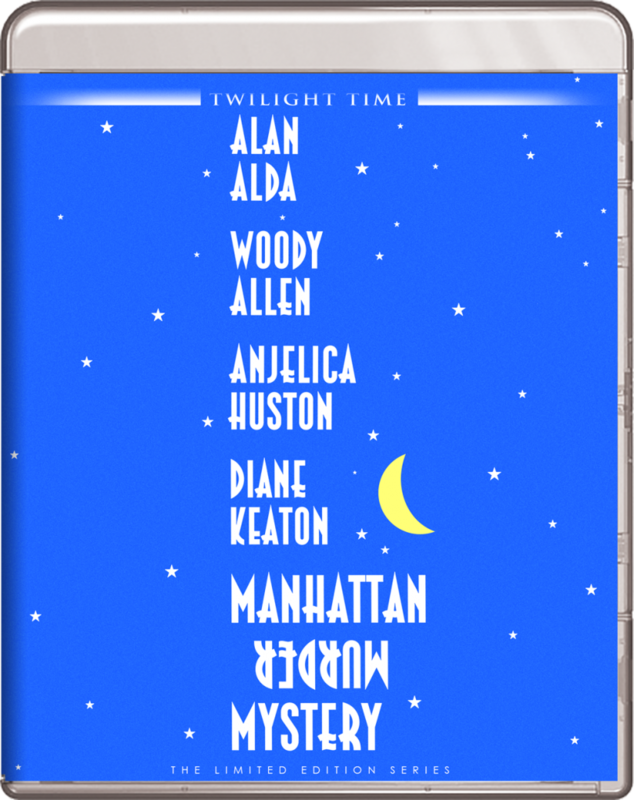 CLICK HERE TO PURCHASE ‘MANHATTAN MURDER MYSTERY’ FROM TWILIGHT TIME! They even bring their friends in on it, including Angelica Huston and Alan Alda, who all sneak into their neighbor’s apartment, looking for clues and becoming paranoid. In the best of Woody Allen style, everything is perfectly crafted, delivered, and timed perfectly with the comedy. 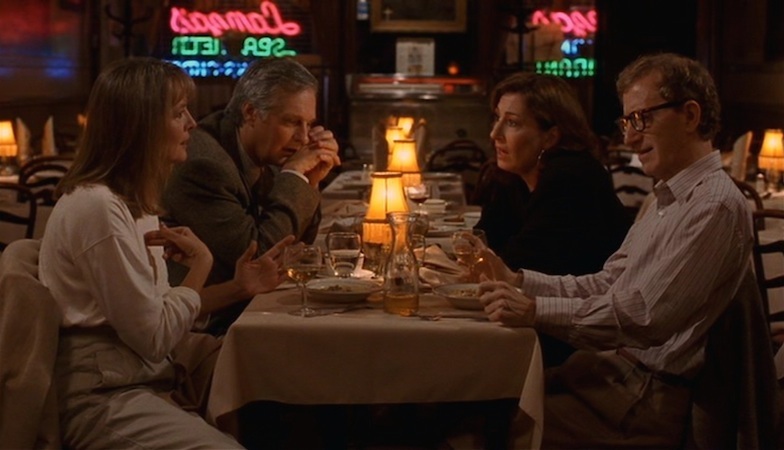 What’s great about ‘Manhattan Murder Mystery‘ is that you never know what is real until the very end, and grow to love each of these characters, especially Carol Lipton, played by Diane Keaton who just owns every comedic scene she’s in. Allen also uses the streets of New York to further reveal his love of the city, while keeping stylistic choices close to that of Hitchcock’s, including a late scene in a room filled with mirrors. ‘Manhattan Murder Mystery‘ is one of Allen’s best films to date and perfectly balances the suspense of a murder mystery and the natural comedy of Allen’s characters and dialogue. The Video: ‘Manhattan Murder Mystery‘ comes with a new 1080p HD transfer and is presented in 1.85:1 aspect ratio. The image looks spectacular here, while keeping its excellent filmic quality. There is no digital sheen here, which is nice. The depth of the cityscapes and skyscrapers of New York come to life here as well. Colors are bold and striking in exterior shots of the streets of the Big Apple where all bright primary colors stand out. Inside the apartments, things have a warmer color tone with browns, reds, and greens. It’s very inviting for sure. Black levels are mostly deep and inky and the skin tones are very natural. The detail is sharp and vivid that showcases individual hairs and facial lines on the actor’s faces, while wider shots never go soft. Lastly, there were no major issues with banding or aliasing, however there were still some subtle instances of dirt and heavy grain that cropped up, but overall, this is a strong video presentation. The Audio: This release comes with a DTS-HD MA 1.0 Mono mix and does a good job with its sound design, although it would have been nice to have a 2.0 or even a 5.1 mix to immerse the city sounds around through the speakers. but there isn’t. Still, there is enough heft and dynamics to get this dialogue-heavy track to the end. Sound effects of cars driving by and other people on the street talking sounds good, but never full or robust. The score is always fun and adds to the odd humor in each scene perfectly. The dialogue is clear and easy to follow along with and free of any pops, cracks, hiss, and shrills. Isolated Music and Effects Track – Click this option if you want to just listen to the music and sound effects of the film without any dialogue. Booklet – Julie Kirgo’s essay about the film and its cast and crew. 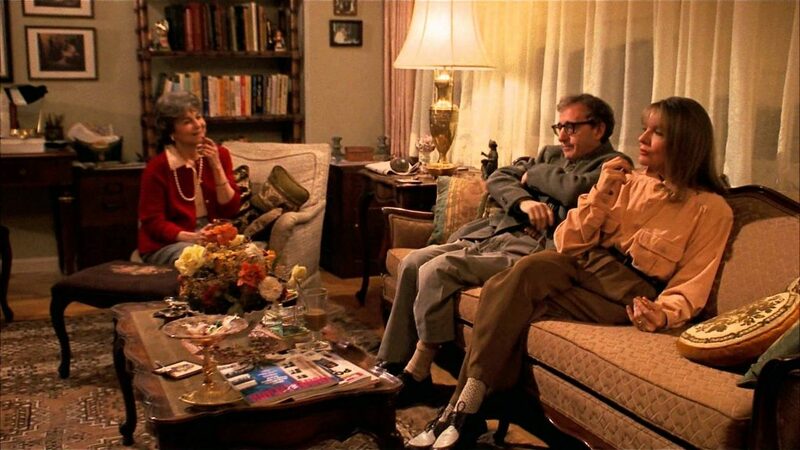 ‘Manhattan Murder Mystery‘ is one of Woody Allen’s best films, which has a great mix of suspense and comedy, along with pitch perfect screenplay, performances from every actor, and a lovely look at New York. The new video and audio presentations are both good, but unfortunately there are no extras, but that’s usual with Allen films. It’s not often that Allen’s film make their way to home video, so I’m going to Recommended this one, because there is no other option for it right now. Recommended! This entry was posted on Tuesday, March 6th, 2018 at 2:36 pm	and is filed under Film, News. You can follow any responses to this entry through the RSS 2.0 feed. You can skip to the end and leave a response. Pinging is currently not allowed. « Blu-ray Review: The Incident!